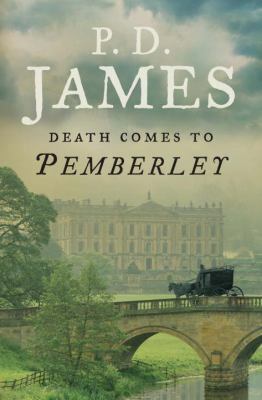 The Seniors Book Club will meet April 10th @ 2:00 pm in Forsyth Hall to discuss Death Comes to Pemberley by P. D. James. The Monday Evening Book Club will meet April 8th @7:00 pm in the Training Room to discuss Up and Down by Terry Fallis. On his first day at Turner King, David Stewart quickly realizes that the world of international PR (affectionately, perhaps ironically, known as “the dark side”) is a far cry from his previous job on Parliament Hill. For one, he missed the office memo on the all-black dress code; for another, there are enough acronyms and jargon to make his head spin. Before he even has time to find the washroom, David is assigned a major project: devise a campaign to revitalize North America’s interest in the space program – maybe even show NASA’s pollsters that watching a shuttle launch is more appealing than going out for lunch with friends. The pressure is on, and before long, David finds himself suggesting the most out-of-this-world idea imaginable: a Citizen Astronaut lottery that would send one Canadian and one American to the International Space Station. Suddenly, David’s vaulted into an odyssey of his own, navigating the corporate politics of a big PR agency; wading through the murky but always hilarious waters of Canada-U.S. relations; and trying to hold on to his new job while still doing the right thing. 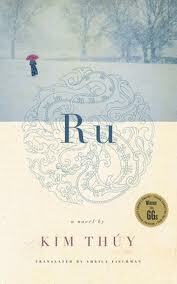 The Seniors Book Club will meet March 13th in Forsyth Hall to discuss Ru by Kim Thuy. A runaway bestseller in Quebec, with foreign rights sold to 15 countries around the world, Kim Thúy’s Governor General’s Literary Award-winning Ru is a lullaby for Vietnam and a love letter to a new homeland. Ru. In Vietnamese it means lullaby; in French it is a small stream, but also signifies a flow – of tears, blood, money. Kim Thúy’s Ru is literature at its most crystalline: the flow of a life on the tides of unrest and on to more peaceful waters. In vignettes of exquisite clarity, sharp observation and sly wit, we are carried along on an unforgettable journey from a palatial residence in Saigon to a crowded and muddy Malaysian refugee camp, and onward to a new life in Quebec. There, the young girl feels the embrace of a new community, and revels in the chance to be part of the American Dream. As an adult, the waters become rough again: now a mother of two sons, she must learn to shape her love around the younger boy’s autism. Moving seamlessly from past to present, from history to memory and back again, Ru is a book that celebrates life in all its wonder: its moments of beauty and sensuality, brutality and sorrow, comfort and comedy. 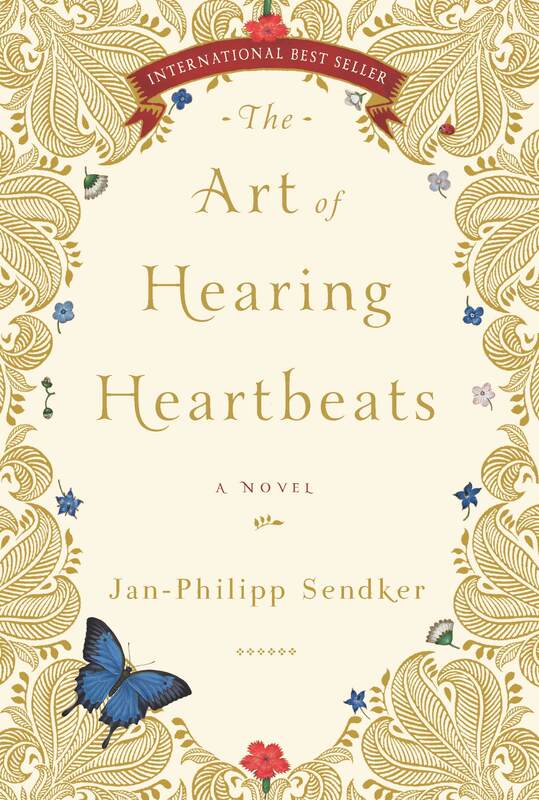 The Monday Evening Book Club will meet March 11 in Forsyth Hall to discuss The Art of Hearing Heartbeats by German author Jan-Philipp Sendker. A po ignant and inspirational love story set in Burma, The Art of Hearing Heartbeats spans the decades between the 1950s and the present. When a successful New York lawyer suddenly disappears without a trace, neither his wife nor his daughter Julia has any idea where he might be…until they find a love letter he wrote many years ago, to a Burmese woman they have never heard of. Intent on solving the mystery and coming to terms with her father’s past, Julia decides to travel to the village where the woman lived. There she uncovers a tale of unimaginable hardship, resilience, and passion that will reaffirm the reader’s belief in the power of love to move mountains. Explore the book’s website: find author information, photos, a video, a reader’s guide, etc. Watch the author talk about the book. How the story finally came to be published in the U.S. The Seniors Book Club will meet Wednesday, February 13 @ 2:00 pm in the Training Room to discuss Up and Down, the latest novel by Canadian humorist Terry Fallis. The Monday Evening Book Club will meet February 11 @ 7:00 pm in Forsyth Hall to discuss Freddy’s War by Edmonton author Judy Schultz. In 1941, a young man imagines thrilling battles and heroic acts when he lies about his age and joins the army. Assigned to the Winnipeg Grenadiers, part of the Canadian army in Hong Kong, Freddy McKee becomes a prisoner of war six weeks after arriving in Hong Kong. The Monday Evening Book Club will meet January 14th at 7 pm in the Training Room (please note the change of location!). We will discuss Happiness Economics by Shari Lapena, a finalist for the Stephen Leacock Medal for Humour. Will Thorne is a stalled poet, married to Judy, a wildly successful celebrity economist. The Seniors Book Club will meet Wednesday, January 9th at 2 pm in Forsyth Hall. We will discuss The Best Exotic Marigold Hotel by Deborah Moggach. The novel was originally published in Britain in 2004 under the title “These Foolish Things” and is now also a major motion picture starring Maggie Smith, Bill Nighy, Dev Patel, Tom Wilkinson, Judi Dench, Penelope Wilton and Celia Imrie. Enjoyed being together at our Book Club Christmas party. Thank you for the delicious food, the fun and all your book suggestions. Your “favorites” make a great holiday reading list. The Monday Evening Book Club will meet December 10th @ 7:00 pm in Forsyth Hall for our Christmas Party! Please bring a plate of treats to share, a wrapped new or gently used book for our “secret” book exchange, and be prepared to give a brief talk about a book you enjoyed this year outside of our book club reads. We always have a great time so hope you can join us! The Seniors Book Club will meet December 12th @ 2:00 pm in the Training Room for our Christmas Party! Please bring a wrapped new or gently used book for our “secret” book exchange, and be prepared to give a brief talk about a book you have enjoyed outside of our book club reads. The Seniors Book Club will meet November 14th @ 2 pm in the Training Room. We will discuss The Art of Hearing Heartbeats by German author Jan-Philipp Sendker. A poignant and inspirational love story set in Burma, The Art of Hearing Heartbeats spans the decades between the 1950s and the present. The Monday Evening Book Club will meet in Forsyth Hall on November 12th @ 7 pm, to discuss The Winter Palace : a novel of Catherine the Great by award-winning Toronto author Eva Stachniak. Behind every great ruler lies a betrayal. The Monday Evening Book Club will meet October 15th @7 pm in Forsyth Hall to discuss Death Comes to Pemberley by Baroness P.D. James. The Seniors Book Club will meet Wednesday, October 10th @ 2 pm in the Training Room to discuss Freddy’s War by Edmonton author Judy Schultz. The Seniors Book Club will meet September 12th @ 2 pm in the 2nd floor Training Room to discuss The Winter Palace by award-winning Toronto novelist Eva Stachniak. The Monday Evening Book Club will meet September 10th @7 pm in the Training Room to discuss The Antagonist by Edmonton author Lynn Coady. The Seniors Book Club will meet Wednesday, June 13th at 2:00 pm in the library’s Training Room to discuss the delightful An Irish Country Doctor by Patrick Taylor.